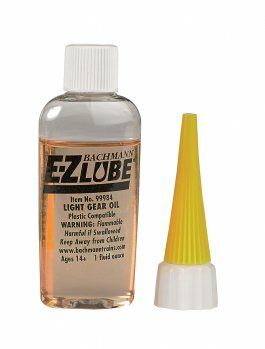 Each of the lubricants has a specific purpose. 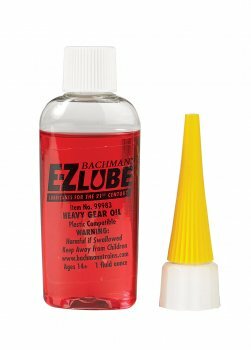 The light gear oil is for use on all gears, bushings, shafts, and bolsters. It is non-shedding and will not ''sling off''. The heavy gear oil lubricates for extended periods of time and is formulated for use on motor bushings, bearings, valve gear, side rods, and draft gear boxes. For applications requiring heavier viscosity material, such as Large Scale trains, it's best to use the heavy duty grease. 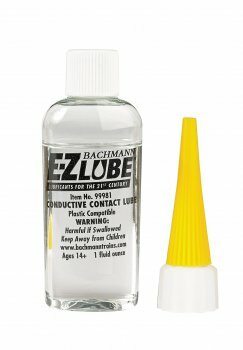 And for superior electric motor maintenance and track cleaning, your choice is the conductive contact lubricant. With proper maintenance, you can extend the life and enjoyment of your railroad equipment for any, many years. 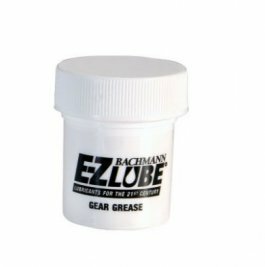 We urge you to establish a sensible maintenance schedule and to use our E-Z Lube® products for professional care.